Waiting for an answer on a short sale can be frustrating. A short sale happens when a seller's lender agrees to accept less than its unpaid mortgage balance to facilitate a sale between the seller and buyer, and banks take a long time to decide. Some short sale buyers wait six months or more for a response. More than half the time, the answer is "No, and don't let the door hit you on the way out." Buyers gravitate toward short sales for two reasons. The list price is attractive and they believe the seller is desperate. However, neither of those beliefs is necessarily true. Since not every short sale home is in foreclosure, not every seller is desperate. Moreover, sellers often set the listed price unrealistically, hoping that buyers will flock to that listing like moths to a flame. The way a listing agent finds out how low the bank will go is if an offer has already been accepted and the buyer walks away. Only then is the agent free to market the listing as an accepted short sale because banks rarely disclose a bottom-line price up front. With a pre-approved short sale, the new buyers' wait is dramatically shortened. Typically, about the time the first buyers walk away, the sellers' documents have already been submitted to the lender, and the lender may have been close to issuing the short sale approval letter. The missing documents at this point are the new buyers' offer and loan qualifications. The sellers can agree to any type of purchase offer put before them for signature, but it's not binding unless the sellers' bank approves the offer. It doesn't matter what stipulations are in the offer if the bank won't accept them. Your true negotiation does not lie with the seller; it lies with the bank's negotiator. Banks rely on desktop appraisals and third-party BPOs (broker price opinions) to determine value. 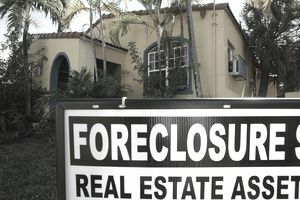 Although banks don't want to follow through on a foreclosure, they also want fair market value. It is up to the listing agent to provide comparable sales and to substantiate the price submitted by the buyer. Whether a buyer should wait for the property to go through foreclosure and be deeded to the bank depends on whether the home has multiple offers. If more than one buyer has submitted an offer, the highest and most qualified offer will most likely win. If the buyer is the sole offerer and the bank is responding negatively or, worse, not at all, it might be in the buyer's best interest to wait out the foreclosure. There is also no guarantee that a bank won't reject multiple offers, too, particularly if none is high enough. Sometimes banks aren't reasonable and end up shooting themselves in the foot. I've had several listings where banks refused to accept short sale offers only to get title to the home through foreclosure, which then ultimately sold for tens of thousands less. You can get a clue as to what the bank might do by looking at the opening bids that are posted in the event a home is in foreclosure. Often banks will post a minimum bid for the auction. If that minimum bid is the amount that is owed to the bank, that tells a reasonable person that the bank does not to sell the home to anybody at the auction. Because a reasonable person does not want to pay the balance due on the mortgage or that person would just pay off the mortgage and buy the home from the seller. Don't get discouraged if the bank rejects your short sale offer. Be smart. Submit that offer again, and you might get a different negotiator. The listing agent might be able to submit revised documentation on the seller's behalf that could alter how the bank will look at the short sale file. If no one else submits a higher offer -- and if you didn't, why would anybody else? -- eventually, the bank will put the home up for sale as an REO. Watch for it to reappear on the market as a bank-owned home. If the price is reasonable at that point, buy it from the bank. At least buyers of bank-owned homes are relatively assured their transactions will close within 30 days or so, and most likely at a much lower price. At the time of writing, Elizabeth Weintraub, BRE # 00697006, is a Broker-Associate at Lyon Real Estate in Sacramento, California. What is the True Meaning of an Approved Short Sale? Will Short Sale Banks Pay for Repairs?